Get Ready for BTS with Label Day Weekend! 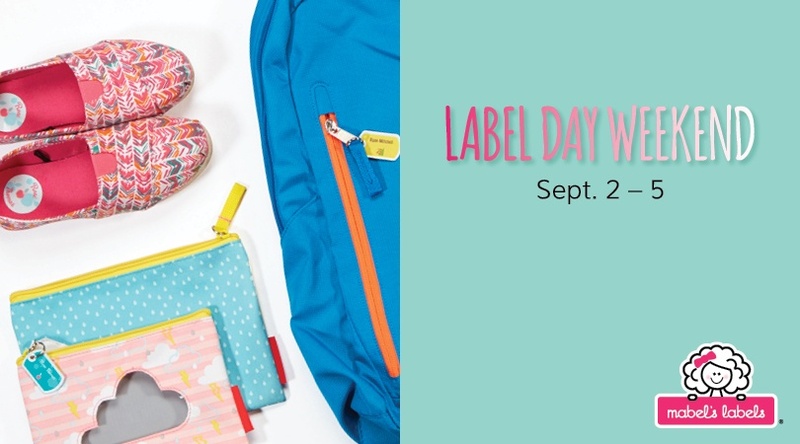 Have you heard of Label Day Weekend? We love it here at Mabel’s Labels! We throw a huge party every year on Labour Day weekend, full of giveaways and contests with a bunch of great brands to help you get ready for back-to-school! Join us on Facebook, Twitter, and Instagram from September 2nd to 5th for all the fun! We noticed a few years ago that parents were madly labelling their kiddos back to school gear so it wouldn't get lost midway through the year. So we wanted to remind all parents to get it done before school starts! We turned it into a party so everyone would hear about it! We’ll be hosting giveaways all weekend long, make sure to check out our social media pages all weekend long so you don’t miss anything! Mark your calendars for Sunday evening for a Facebook Live at Julie Cole’s Mom Cave where we’ll be chatting about all things back to school, tips and tricks for the school year, and fun mom stuff! On Monday night, we’ll cap off the weekend with 2 huge parties! We’re hosting a Facebook Party and a Twitter Party – both at the same time! Join in from 8-9pm EST and you could win awesome prizes from our friends Avery, Keen Kids, Bentology Living, and Beatrix NY. You really won’t want to miss out on this!! See you this weekend and good luck! !